The Fashion Outlets of Las Vegas is perhaps one of the top places to visit if you are visiting the Sin City and shopping is on your agenda. Open since 1998, this massive shopping mall is spread over an area of 371,000 square feet and offers a good selection of stores to select from. The mall is owned by the Primm Valley Resorts and is located in Primm, off Interstate 15. While it is located 40 miles of the city, it more than makes up for the distance with the savings it delivers. With over 100 different stores and outlets, plenty of restaurants and excellent discounts, this shopping mall does not disappoint. Some of the top stores in the mall include American Eagle Outfitters, Hollister, Juicy Couture, Coach and Neiman Marcus. 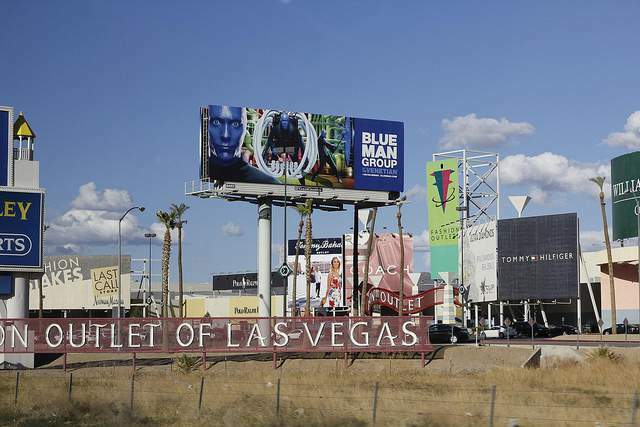 The address of Fashion Outlets of Las Vegas is 32100 S Las Vegas Blvd, Primm, NV 89019, and it's located about 40 minutes' drive from the Mccarran International Airport. Fashion Outlets hours are from 10 am to 8 pm daily. Hours during holidays hours vary. Not many people think about the layout of a mall when deciding where to shop. However, it does play a significant role in the overall shopping experience and should therefore be considered. The Fashion Outlets of Las Vegas offers some good perks in this department. Because of its location on Interstate 15, away from the city, it is a convenient stop on your way to the city or on your way out. In fact, the mall attracts a large number of shoppers that travel large distances just so they can get access to some of the more unusual stores and the type of deals that are hard to find elsewhere. The mall is also connected to the resort and the casino, providing a good number of recreation options. The mall itself has two courts- South Beach Court and the Urban Court. Its circular design makes it easier to navigate through the mall and finding stores is surprisingly easy and hassle-free. The stores are well organized and the wide walkways accommodate large crowds that tend to frequent the mall on weekends. Throughout the mall are various seating areas to provide shoppers plenty of space to relax and take a break. Fashion Outlets of Las Vegas is an indoor mall. It is also air-conditioned and therefore very comfortable during those hot summer days in the desert. The only drawback is the fact that the mall does not have free WiFi so you might not be able to search for information or deals in particular stores on your smartphone unless you are willing to pay for the available networks or if you already have a data plan on your phone. The mall does get quite busy on weekends since it attracts not just the locals but also a lot of tourists visiting Vegas. The traffic can be quite brutal at times too. However, the mall does have a good amount of parking space available. For women, Fashion Outlets offers an excellent selection of stores with apparels, jewelry, shoes, handbags and cosmetics. Stores like Gap, Old Navy, BCBG, 2b bebe offer pretty good deals. If you're looking for something really special, you may be interested in trying out Fendi, Michael Kors, Kate Spade, Kenneth Cole or Aldo. For men, the selection is just as impressive with stores like Lacoste, Banana Republic, Nike, Hollister, Hugo Boss and Aeropostle. Other offerings include children's clothes, gifts, souvenirs, toys and home furnishings. The mall has some really good stores for houseware like the Kitchen Collection, Williams Sonoma and Le Crueset. The food court is quite popular with shoppers because it offers a wide variety of cuisines for everyone. Some of the more popular options in the food court include Jugo Juice, Mad Greek, Carl Jr's, Hot Dog on a Stick and Steak-N-More. There are several miniature rides in the food court that are great for keeping kids entertained. 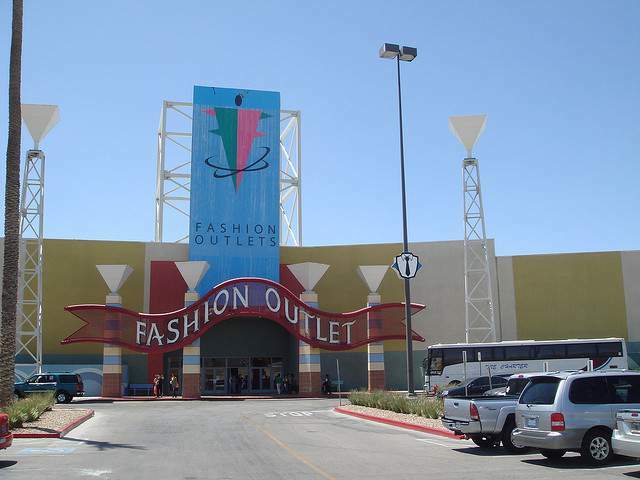 One of the reasons why Fashion Outlets of Las Vegas is so popular is because it offers fantastic prices. You'll be able to save as much as 75%, sometimes even more, when you shop at the 100+ stores at the mall. The mall offers a Green Savings Card, shopping packages, special promotions and a privileges club that provide a good deal of cost benefit. Privilege Club members earn a point for every dollar spent at the mall. Once 250 points are accumulated on the card, a points' certificate is sent to the member which can then be redeemed for freebies, discounts and gift cards. The privilege card is available free of cost to all Nevada residents. Those living elsewhere can still get the card by paying a membership fee of $10. 100 points are automatically added to the card when the account is first activated. Club members also receive exclusive offers, discounts, coupons and privileges offered by the stores in the mall. Members are automatically added to the Players Club of the casino resort. If you shop regularly at the Fashion Outlets of Las Vegas, getting the green savings card is highly recommended because it will allow you to maximize on your savings. If you have a Canadian Automobile Association or American Automobile Association card, you can get the green savings card. Simply show the membership card to the customer service agents at the food court to get the card. If you don't have any of those cards you can still get the green savings card by paying $5. The green savings card is accepted by several different stores in the mall. Check for the logo on the store window. You will also find a list of special offers provided by all participating stores on the mall's website and even at the register of each store. Some of the promotions currently listed on the mall's website include 20% off at Carter's when you spend $40 or more, 20% off regular priced items at Juicy Couture and 15% off at Converse when you spend $75 or more. Considering that the green savings card is available for just $5, it is definitely very valuable if you're eager to take advantage of all the discounts and special promotions offered by the stores at the Fashion Outlets of Las Vegas.